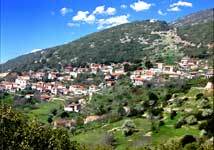 Kardaritsi is a mountainous village in the municipal unit of Kontovazaina in northwest Arcadia, Greece. 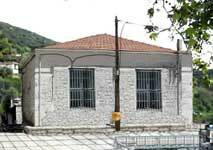 The village is located some 60 kilometers north-east of Archea Olympia and 98 kilometers north-west of Tripoli. It can be reached using Greek National Road 74 linking Pyrgos, Olympia, Tripoli or Greek National Road 33 linking Patras, Tripoli. The region borders with the Prefecture of Elis across from Erymanthos River. 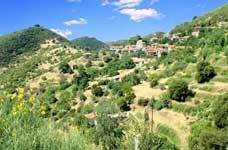 The village can be accessed from Tripoli, Pirgos/Ancient Olympia, and Patra by way of Tripotama and Paraloggoi. You can also connect from Tripoli through Kontovazaina and Velimachi. 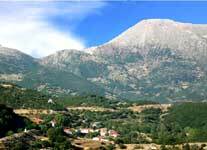 A shorter route from Pirgos exists through Toumpitsi, Voutsis and Velimachi. Driving distance from Tripotama is about 18 kilometers. Kontovazaina is 11 kilometers away. 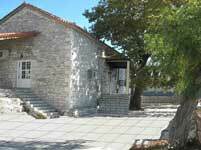 Known historical records trace the existence of the village back to the 18th century. The Slavs, Franks, Venetians, and Ottoman Turks dominated the region through the years. Greece became a free state in 1828 after the 1821 War of Independence against the Turks. A detailed history and relevant statistics of the village (and the region) from the middle ages to the present is found in the scholarly work of Nikolaos P. Douridas M.D. The village has a school (now closed), a square (plateia) around the Saint Nickolas church, and an impressive cold water spring named “Trani Vrisi” that feeds the village's reservoir. It's connected to all the surrounding villages with paved roads. The economy is based on agriculture and livestock-farming. The population keeps declining due to the steady exodus to Athens. They also make occasional visits to hunt available game ( jack rabbits, Chukar partridge, and wild boar ).